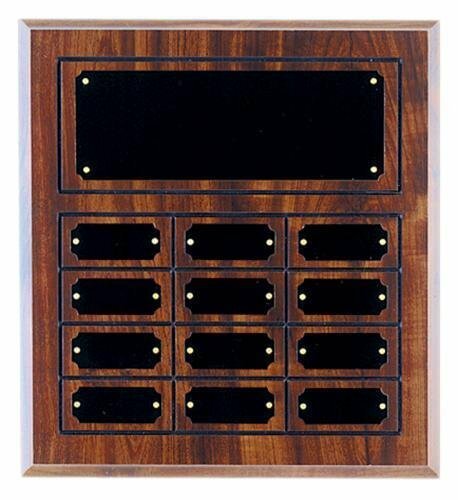 These plaques are Excellent for multi-year recognition of employee of the month or other award recognition purposes. 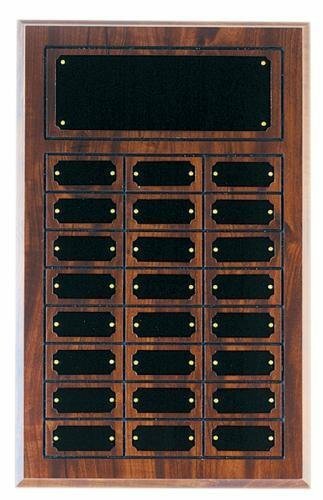 These Cherry Wood Finish Perpetual Plaques are the perfect way to recognized annual award winners. The plaques come in a beautiful cherry wood finish and come in three sizes 11 5/8" X 12 3/4", 11 3/4" X 15 3/4", and 11 3/4" X 18 3/4" to give you lots of flexibility for whatever your needs might be. The header and individual plates come standard with each plaque and are made of brass. 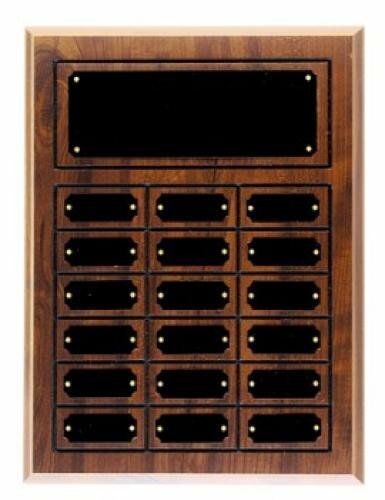 Your annual award winners will be proud to have their names on any of these perpetual plaques.